Have you fallen victim to the Pokémon Go craze? Embrace it with our Sunbird DCIM Pokémon Go social media giveaway and receive a free t-shirt. 1. Follow @SunbirdDCIM on Twitter and follow Sunbird Software on LinkedIn. 2. Tweet at us with a picture of you with a Pokémon in or around your data center to win a free T-shirt. 3. Share it with friends! Pokémon Go is everywhere and lets players be a part of it. This new app combines the Pokémon virtual world with real life. Tracking via GPS requires gamers to walk around in order to locate Pokémon, Poké Stops, and gyms. The app accesses life in front of you through your smartphone camera to show Pokémon interacting in your domain. This has created such hype around the world, ranging from younger kids and teens to adults. With so many people using the app, there are various problems with the game, such as overloaded servers and connectivity issues (common data center concerns that Sunbird DCIM can help manage). Fortunately, this app was recently released so updates and fixes for problems should be arriving soon. Pokémon Go is sweeping the nation by being the biggest mobile game in U.S. history. 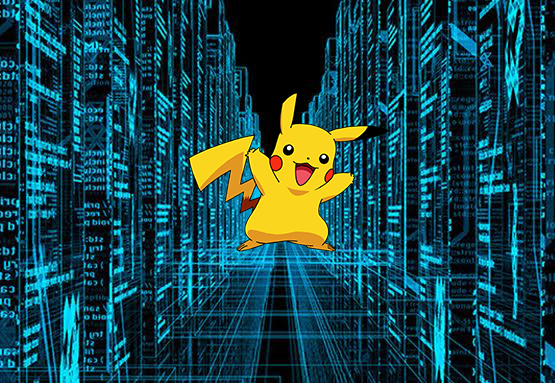 Try to "catch 'em all" in your data center quickly because this giveaway ends July 28! Currently open to U.S. residents only. Enter our Pokémon Go social media giveaway through Twitter and LinkedIn! Don't have Pokémon Go yet? Download Pokémon Go on your Android or iOS device and start your Pokémon with Sunbird DCIM today.